Software-defined WAN aims to make WANs simpler and less expensive to design, build and operate. But is it right for your network? 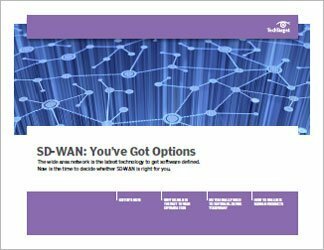 This technical guide defines SD-WAN, explains its pros and cons, and helps networking professionals decide if it's right for their particular network. 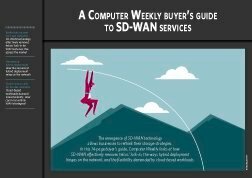 This three-part guide discusses the costs of SD-WAN and what factors network pros consider when assessing an SD-WAN tool -- such as how the product aggregates capacity, manages traffic across links and what flexibility it has in controlling performance and adding security. It is also smart to think about its form factor and the WAN topologies it supports. 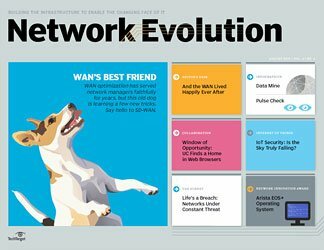 This publication is good for anyone who wants to understand what the next-gen WAN -- that is, SD-WAN -- is all about. 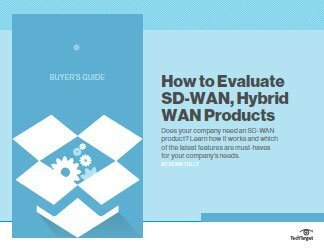 It will help networking pros evaluate vendors' products and guide them in the first steps of an SD-WAN implementation.